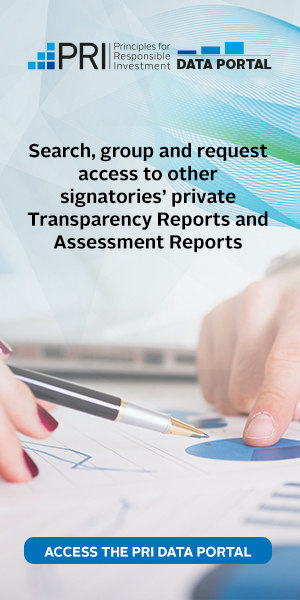 The work of the TCFD builds on and seeks to harmonize existing initiatives on transparency. Created in 2015, it is the first industry-led effort tasked with developing recommendations for voluntary, consistent and comparable climate-related disclosures across all sectors. The TCFD is composed of 32 members, chosen by the Financial Stability Board (FSB) to include investors, auditors, industry executives (including some from the oil and gas industry), and other experts. As an industry-led initiative the TCFD builds on the prior work of non-governmental organizations (NGOs) regarding climate-related disclosure and strives to provide overarching recommendations that can guide and further align existing reporting frameworks. This paper specifically focuses on methane risk in the oil and gas industry, examining how investors and companies can use the TCFD recommendations to improve disclosure about this potent greenhouse gas. The TCFD approach to climate-related disclosure As a temporary arm of the FSB established in 2015, the Task Force was charged with developing recommendations for voluntary, consistent and comparable climate-related disclosures, in order to provide useful decision-making information to stakeholders like investors, lenders or insurance companies. In June 2017, the TCFD published three key documents that outlined the Task Force’s final reporting recommendations and suggestions for implementation. The first is the Final Report: Recommendations of the Task Force on Climate-related Financial Disclosures, which provides the context and framework for climate-related financial reporting. The TCFD also published two documents for a more technical, implementation-focused audience, including the Annex: Implementing the Recommendations of the TCFD, and the Technical Supplement: The Use of Scenario Analysis in the Disclosure of Climate-related Risks and Opportunities. The Task Force identified four core categories for climate-related financial disclosures: governance, strategy, risk management, and metrics and targets. The TCFD recommendations have been positively received in the financial and corporate community. Over 500 organizations have formally expressed their support for the TCFD framework. These include major asset managers and owners like APG Groep N.V., Blackrock, California State Teachers’ Retirement System, Fidelity, Legal & General, Robeco, State Street, Vanguard and Wellington. Oil and gas companies such as BHP, Eni, Equinor, Shell, Suncor and Total have also backed the report. However, the level of implementation of the recommendations has been varied wit h many companies just beginning to incorporate TCFD guidance. CDP’s 2018 report Ready or not: Are companies prepared for the TCFD recommendations? reviewed 1,681 companies globally, and found a wide spectrum of climate-related financial disclosures and varying degrees of alignment with TCFD, especially looking across geographies and sectors. Companies, particularly those within the oil and gas industry, were identified as needing further work to provide investors with necessary disclosure and maximize the potential of the TCFD framework. Methane, which is the primary component of uncombusted natural gas, is at least 84 times more powerful than carbon dioxide as a warming agent over a 20-year time period. Methane emissions account for about 25% of the warming experienced today and the oil and gas industry is the largest industrial source globally, losing billions each year in lost product. Yet, the oil and gas industry has touted natural gas as a cleaner burning fossil fuel, especially when compared to coal. However, methane emissions threaten this potential climate benefit of natural gas, posing a serious reputational risk for the energy source. Methane is also a significant near-term opportunity for the oil and gas industry. Smart methane management can demonstrate that the industry can be part of the climate solution. Methane management is also an economic opportunity since emissions represent a loss of saleable product. Global oil and gas methane emissions are estimated to be worth at least USD 30 billion. A recent International Energy Agency (IEA) analysis found the industry can reduce global methane emissions by 75% using proven technologies, with nearly 50% of emissions reduced at no net cost. Given the relative ease and cost-effectiveness of emission reduction opportunities, investors increasingly view methane management as a proxy for the effectiveness of a company’s operational and climate-risk management. The material risks and opportunities associated with methane are outlined in Table 1, which is adapted from the TCFD framework. Considering the range of categories that methane touches upon, no comprehensive oil and gas climate-risk disclosure is complete without a clearly articulated approach to methane.